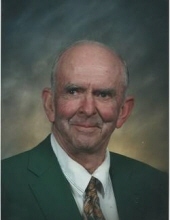 Georgia – Harold Edmund Wilcox, a lifelong area resident passed away Friday, March 22, 2019, at the UVM Medical Center with his family by his side. Edmund was born at home in Georgia on March 12, 1927, the son of the late Roy E. and Elizabeth (Morton) Wilcox. Edmund was 92 years old. Edmund was a 1944 graduate of Bellows Free Academy and then spent 53 years running the family dairy farm on Georgia Shore. He was a member of the Vermont Old Cemetery Association, Green Mountain Folklore Society, Saint Albans Writers Workshop and was a 60-year member of the Georgia Banner Grange 7th Degree. He also volunteered in various positions at the Georgia Elementary and Middle School. When he wasn’t farming, he enjoyed spending time touring New England. Edmund had a love of music and was known to burst into song at a moments notice. He would share this love with shut ins and local nursing home residents. He is survived by his sister, Shirley Grimm of Boise, Idaho; his nephew, Fred Grimm and his wife, Heather, and their children, Keith, Sarah and Logan all of Georgia and his nieces, Gretchen Grimm of Georgia and Becky White and her husband, Jim, and their children, Mathew and Anna all of Boise, Idaho and his cousin, Sally Mayes of Georgia. Relatives and friends are invited to attend calling hours on Thursday, March 28, 2019, from 5:30 to 7:30 PM at the Heald Funeral Home, 87 South Main Street, Saint Albans. A Grange service will be conducted at the funeral home at 7:00PM. A funeral service will be held on Friday, March 29, 2019, at 11:00 A.M. at the Georgia Plain Baptist Church, 1493 Stonebridge Road, Georgia, with Pastor Tyler Smith officiating. Interment will take place at a later date in the Georgia Plain Cemetery. Donations in Edmund’s name may be made to the Georgia Historical Society, P.O. Box 2072, Georgia, Vermont 05468 or CarePartners Adult Day Center, 34 Franklin Park West, Saint Albans, Vermont 05478. To send Edmund’s family a message of condolence or share a memory, kindly go to his online guestbook at www.healdfuneralhome.com. To plant a tree in memory of Harold "Edmund" Wilcox, please visit our Tribute Store. "Email Address" would like to share the life celebration of Harold "Edmund" Wilcox. Click on the "link" to go to share a favorite memory or leave a condolence message for the family.